Dips are easy to share, perfect for a crowd and perfect for tailgate parties. Just reach for a chip, and dig in! Enjoy! 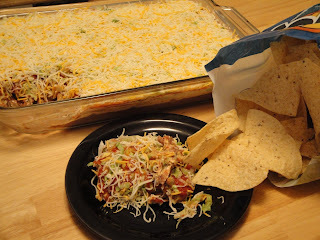 We are tailgating in a couple weeks...and your dip recipes come at a perfect time! So great to find a comment from you on my blog today...I miss my Foodbuzz friends!